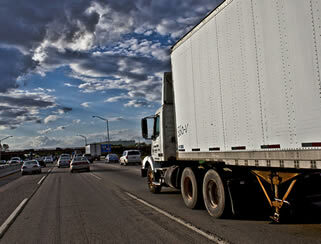 Anyone who wishes to work as a truck driver in must have a valid Commercial Driver’s License (CDL). To get a CDL in New York, you must first be eligible to take the qualifying tests. This includes being at least 18 years of age, be physically fit to obtain a DOT Medical Examiner’s Certificate, a clean record to pass the criminal background check, as well as be able to provide certain documents needed for the application process. The first test that applicants must take is the general knowledge test. You must get at least 80% of the exam to pass. You have additional tests if you want additional endorsements for your CDL, such as a passenger, a tank, triple/double, or a hazardous materials endorsement. Applicants who pass the written exams will be issued a temporary learner’s permit. Applicants must schedule for an actual driving test right before their permit expires. The driving test consists of a pre-trip inspection, demonstrating basic driving skills, and actual on-road testing. Once an applicant successfully shows the evaluator he/she is capable of driving a truck, which will be received within a couple of weeks. Sharkey’s Auto Driving School, Inc.
MAC CDL Training & Recruiting Inc.
Do you know of any CDL schools we’ve left off the list? If so you can submit them to us using our contact form. When you make a submission please be specific and include the name, address and phone number so we can include it on this page. To get a (CDL) commercial driver’s license in New York, you first need to have the necessary requirements that will allow you to take the qualifying tests. This includes both physical and intellectual skills which you must have in order to pass the screening. The state and federal governments have imposed recent changes in the policies with regards to acquiring a CDL due to the recent national security issues which took place a few years ago. Today, you must undergo even a criminal background check in order to secure a commercial driver’s license in New York. The first and most important requirement is to be of legal age. Applicants for a commercial driver’s license should be at least 18 years old to drive a truck within the state, and 21 years old to drive a truck intrastate. Aside from this, the applicant should have a current and active driver’s license as well. Additionally the applicant will need to get a physical examination to receive a USDOT Medical Examiner’s Certificate to meet state standards.You can read more about the NY medical requirements on this pdf. These are the basic requirements which one has to comply with. You must also prepare yourself well for the written test which is conducted by the DMV office. Look for the CDL Manual in the DMV office and study the manual well if you wish to pass not just the written but the road test as well. You will also need to submit several documents and forms before applying for the license. The first thing that you need to surrender is your driver’s license either gotten in the state or from another state. The law does not allow for multiple licenses and it will be combined into one license even though the CDL will function quite differently from your ordinary license. The other documents that you will need to submit are proper forms of identification, your social security number, proof of residence or lawful stay in the United States, and $10 for the application fee. Once you have submitted these, you will then be allowed to take the written or oral test where you will need to pass at least 80% of the exam. It is a general type of test for driving although you may have additional exams if you want additional endorsements for your CDL such as a passenger, tank, triple/double, or a hazardous materials endorsement. The state requires a criminal background check from the TSA in order to acquire a hazardous materials endorsement. If you pass the written test, you will be given a learner’s permit which will allow you to drive a truck provided you are accompanied by a licensed individual. You must schedule for your actual driving test right before your permit expires. 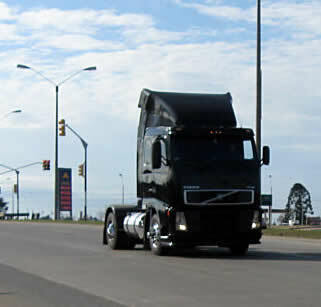 The actual road test involves a pre-trip inspection, basic driving skills, and a road test. You will be assessed on how well you are able to perform each set of skills and you will also need to pass each so you can proceed to the next type of test. Once you successfully show to the evaluator that you can handle truck driving well, you will then be provided with a CDL in New York which you will receive in a couple of weeks. Those who are new to driving a tractor trailer rig will likely want to find a training program to gain the skills necessary to pass the exams. You can find the truck driving schools in NY that are currently offering training on this page. For further information about commercial driving requirements, visit the state’s DMV page below.